Since 1998, International Transload Logistics, Inc. has built a solid industry reputation providing proactive and cost-efficient Chicago supply chain management services to a wide range of businesses, industries, and applications. ITL specializes in warehousing and drayage solutions in the Chicago and Kansas City markets. 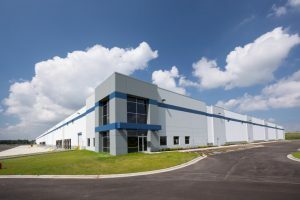 We own and operate three impressive and expansive strategically located warehouse facilities in the Chicago area. Our trained and experienced staff has the abilities to handle all types and sizes of cargo. Call 630-206-1532 today for complete information on the wide range of Chicago supply chain management services available from the industry experts at International Transload Logistics, Inc. You can also email us anytime at chisales@itlchicago.com and we will respond quickly. You can trust International Transload Logistics, Inc. to handle your materials with a sophisticated warehouse management system using the latest technologies and processes to provide real-time inventory tracking and shipment details. We can easily integrate your current systems seamlessly to minimize any potential for errors. ITL’s state-of-the-art warehouse management system allows customers 24-hour inventory and order visibility. Our professional Chicago supply chain management services allow you to track your shipments and check statuses on all orders instantly with just a click of a button. Call 630-206-1532 today for complete information on the wide range of Chicago logistics management services available from the industry experts at International Transload Logistics, Inc. You can also email us anytime at chisales@itlchicago.com. Or simply fill out the easy-to-use contact form to the right and we will respond shortly.